Wellinhand® Action Remedies was created by Linda Doby. Linda developed a range of naturally effective, vegan and cruelty-free products and solutions for common health issues and ailments. Wellinhand Action Remedies is driven by a passion for natural relief. They develop each of their formulas with their customers' needs in mind. Because they know that their products appeal to the growing number of people concerned about applying synthetic chemicals to their bodies, they only use the freshest, purest ingredients in their formulas. Since the very beginning, Linda has blended every drop of Wellindhand’s unique formulas by hand to ensure potency and effectiveness. Why Wellinhand? (Taken from their website) What we put on our skin matters. As the largest organ in our bodies, the skin has a remarkable capability for absorption. Conventional medications and personal care products often contain toxins that can seep through the skin and into the bloodstream, including chemical detergents, lathering agents, artificial fragrance, and synthetic preservatives. When absorbed into the body and accumulated over time, these chemicals can act as allergens, reproductive toxicants, carcinogens, and neurotoxins. At Wellinhand Action Remedies®, we believe that what you put on your body is just as important as what you put in it. Our topically applied herbal formulas contain solely plant-based ingredients like olive oil, castile soap, pure essential oils, organic herbs, and nothing else - no parabens, no sodium laureth or lauryl sulfates, or petrochemicals. Every ingredient in our products is active and nourishing so you can be sure that you're treating your body with real, honest herbs. Our products are certified cruelty-free and vegan. I received samples of some of Wellinhand's best products to review. I received Body Wash Foamers, Sea Baths, and Sleep Rescue. Body Wash Foamers™ contain only the purest natural ingredients for a truly clean, refreshing shower. We use only the mildest Castile soap, organic and wildcrafted herbs, and organic essential oils - never any synthetic foaming agents, sodium laureth/lauryl sulfate, artificial color or fragrance, or other toxins. The convenient pump dispenser top creates a rich, creamy foam to leave your skin soft, smooth, and refreshed. Excellent for shaving and won’t clog your razor. Perfect for shower or bath, and as a completely natural hand wash for kitchen and bathroom. Our tall and narrow bottles are easy to hold and fit comfortably onto any sink or shower ledge. My Experience: I chose Body Wash Foamers in Minty Mischief. I love the way it foams up into a luxurious sudsy body wash. It cleanses as well as purifies my skin and does not leave my skin dry like soap. My body feels squeaky clean. It is perfect for shaving and rinses of perfectly. I love it! 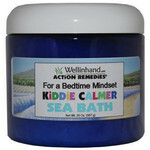 Sea Bath, Kiddie Calmer Help your child feel soothed and ready to rest peacefully after a great day! Bathing has a powerful effect on our bodies and our outlook on life - let Sea Baths contribute to your fantastic days and blissful nights. Slip into the aromatic water, inhale the pure essential oils, and feel your burdens soften as you soak in the nourishing seaweed blend. Our uniquely gentle spa-quality, mineral-rich baths use no Dead Sea salts so as to not contribute to the shrinking of the Dead Sea. My Experience: This amazing aromatherapy bath salt is the perfect way for getting my six-year-old son to wind down for the evening. It really helps to calm him down and get him ready for bed. I love that it is all natural. I always worried about chemicals getting into his system from bubble baths and body washes. Sleep Rescue® is an all-natural, non-addictive sleep aid that you put on you, not in you. Our topically applied herbal formula is a quieting blend of gentle herbs and pure essential oils in a nut-free base, infused for a minimum of six months to ensure maximum potency and effectiveness. This nourishing formula is as quieting for your frazzled mind as it is for your achy body. Sleep Rescue® is topically applied, drug-free, and completely non-addictive. The nourishing oils can even help enhance your skin overnight. My Experience: I have been a long time sufferer of insomnia. I am always on the lookout for natural products that help me to fall asleep and to stay asleep. 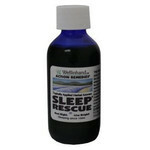 When I tried Sleep Rescue, I was very skeptical. Nothing usually works well for me. I applied it to my temples, along my jawline and even on my ankles. (It helps to keep restless legs calm.) I found that I actually fell asleep and stayed calm and peaceful throughout the night. I felt extremely well rested the next morning. Finally, a product that actually worked for me! I am hooked.